I am a marketing professional with a passion for digital marketing, entrepreneurship, and new technology. I co-authored the book Essentials of Digital Marketing. A user-friendly textbook that provides an engaging introduction to digital marketing to help you understand the impact of digital channels on marketing operations. You can purchase my book in bookshops across the UK and online. I frequently speak at conferences related to digital marketing and social media. I have participated in the SME World Summit, Social Media Summit, and I have trained corporate clients in the use of digital marketing tools for business purposes. I also write in business magazines such as The Intelligent SME, and have been interviewed on topics related to digital marketing in TRT World and France 24. I also love teaching others about marketing. 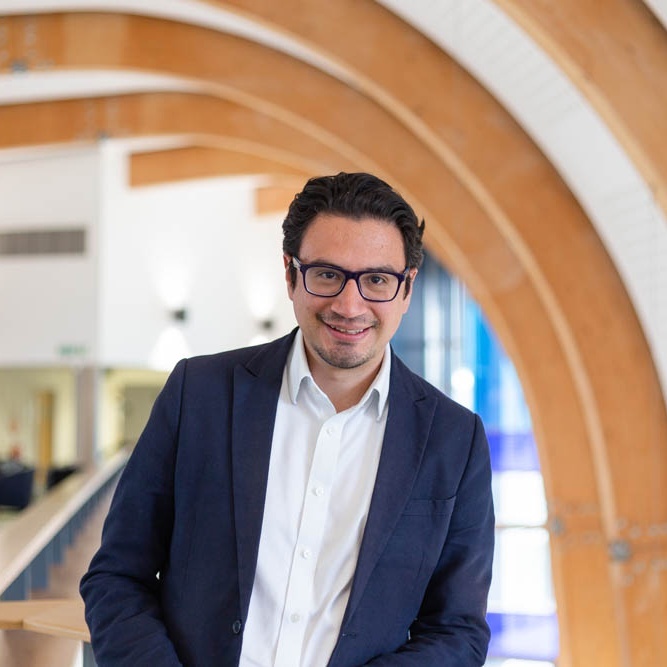 I work as a lecturer in Digital Marketing at Henley Business School, where I teach and do research on digital marketing, social influence marketing, computer-human interaction, customer experience in online environments, and the application of AI and machine learning in marketing. Do you want to collaborate with me? Let’s talk! I’ve been involved in several online projects, the two latest ones are (1) Instant Counselling an online platform that allows you to receive therapy 24/7; and (2) It’s not you, it’s your data , an academic blog with some articles featured in the Times Higher Education website. Perez-Vega, R.; Taheri, B.; Farrington, T.; and O’Gorman, K (2018). On being attractive, social and visually appealing in social media: The effects of anthropomorphic tourism brands on Facebook fan pages. Tourism Management, 66, 339-347. Gannon, M., Baxter, I., Collinson, E., Curran, R., Farrington, T., Glasgow, S., Godsman, E., Gori, K., Jack, G., Lochrie, S., Maxwell-Stuart, R., MacLaren, A., MacIntosh, R., O’Gorman, K., Ottaway, L., Perez-Vega, R., Taheri, B., Thompson, J., & Yalinay, O. (2017). Travelling for Umrah: Destination attributes, destination image, and post-travel intentions, The Service Industry Journal, 37, 7-8. Perez-Vega, R.; Waite, K.; and O’Gorman, K. (2016). Social Impact Theory: an examination of how immediacy operates as an influence upon social media interaction in Facebook Fan pages. The Marketing Review, 16, 4. Lages. C. and Perez-Vega, R. (2017). A consumer-centric approach to the customer journey. five: the bulletin for marketing communications: Issue 11: 10-11. Perez-Vega, R. (2017). Is social media transforming the elections? Henley News: 6 Jun 2017. Leeland, I. and Perez-Vega, R. (2017). Tips on developing a mobile app for your business. The Intelligent SME, February: 46-49. Portilla, M. and Perez-Vega, R. (2016). Uncovering online brand communities. The Intelligent SME, December: 40-43. Perez-Vega, R. (2016).Social Influence Marketing Boosts Your Business. The Intelligent SME, August: 36-37. Perez-Vega, R. and Hopkinson, P. (2016). Building customer relationships one tweet at a time. The Intelligent SME, April: 42-43. Borghei Razavi, N. Lages, C. R., Perez-Vega (2018). Antecedents and Boundary Conditions of Negatively Valenced Customer Engagement (Naples Forum on Service, 2019). Borghei Razavi, N., Lages, C. R., Perez-Vega, R. (2018). Negatively valenced customer engagement in the healthcare context: The construct, antecedents, and moderators (SERVSIG conference, 2018). Borghei Razavi, N., Lages, C. R., Perez-Vega, R. (2018). It is not the organisation, it’s their customers: The impact of customer aggression on other customer’s perception of organisation’s image (LaLonde conference, 2018). Borghei Razavi, N. Lages, C. R., Perez-Vega (2018). The Role of Customer-Perceived Service Climate and Customer’s (dis)Identification in Emergence of Negatively-Valenced Customer Engagement (Frontiers conference, 2018). Hopkinson, P., Perez-Vega, R., Singhal, A. (2018). Exploring the use of AI to manage customers’ relationships. Workshop paper. (Academy of Marketing, 2018). Singhal, A., Hopkinson, P, Fattah, S., and Perez-Vega, R. (2018). Measuring and managing the quality of social media-based customer relationships. (European Conference of Social Media). Portilla Irastorza, M. and Perez-Vega, R. (2017). Exploring motivations to engage in online brand communities: a comparative analysis (EMAC). Nadeem, S., Rodriguez, L. and Perez-Vega, R. (2015). A scale of hindrance in mobile in-app advertising. The International Conference on Organization Management (ICOM). Ashraf, S. and Perez-Vega, R. (2015). Insight into Dubai’s Generation Y Online Shopping Behaviour: Exploring the Limitations of the Technology Acceptance Model with the Digital Natives. The International Conference on Organization Management (ICOM). Perez-Vega, R.; Waite, K.; and O’Gorman, K. (2014) The Influence of brand immediacy in consumer engagement behaviours: a revised social impact model. Doctoral Colloquium Academy of Marketing. Perez-Vega, R. and Waite, K. (2016). “Digital media and marketing interactivity” in Marketing Communications (Eds.) G. Bell, B. Taheri and Angelelli. Woodeaton: Godfellow Publishers. Jubb, D., Zakaria, L., Gori, K., and Perez-Vega, R. (2016). Data Sources from Archives to the Internet in Research Methods for Accounting and Finance (Eds.) A. Patterson, D. Leung, W. Jackson, R. Macintosh, and K. O’Gorman. Woodeaton: Goodfellow Publishers. Gori, K. and Perez-Vega, R. (2015). “From Archives to the Internet” in Research Methods for Business and Management (2nd Ed.) K. O’Gorman and R. Macintosh. Woodeaton: Godfellow Publishers. Gori, K. and Perez-Vega, R. (2014). “Working with historical and contemporary data sources” in Research Methods for Business and Management (Eds.) K. O’Gorman and R. Macintosh. Woodeaton: Godfellow Publishers. Retail Gazette (2019) How does Zara survive despite minimal advertising? April 2016- “A scientific pespective to fan paga engagement” – Social Media Summit. Sept 2014- “Assessment and development of a digital marketing strategy” (Private training with the regional marketing team of World Vision LATAM). I am involved in the launch of an online platform that looks after the mental health of staff (Pro-Counselling & Pro-EAP) and the general public (Instant Counselling). Oversee the marketing strategy with a focus on B2B (Pro-Counselling) and B2C worldwide (Instant Counselling) with a strong focus on the use of digital marketing tools. I have extensive experience with SEO, Search Engine Marketing, remarketing, CRO, and Social Media Marketing. Build strategic partnerships with other mental health providers to increase the volume of sales for all parties. Oversee the content marketing strategy and work with our community manager, copywriters, and videographers to create and disseminate content to generate visits to the site. 2016 (Jul) – to date. Henley Business School, UK. Lecturer in Digital Marketing. -Curriculum design and delivery of lectures in Digital Marketing and Marketing Communications at undergraduate and postgraduate level. -Liaise with leading marketing practitioners to generate collaboration opportunities with students and for research opportunities. -Guest writer at The Intelligent SME Magazine. -Speaker at the Social Media Summit and Social Media Workshops. Deliver marketing courses at undergraduate and postgraduate level. Provide supervision to research projects. Engage in the creation of scholar artefacts in the field of marketing. MCG Digital Marketing is an agency that caters for the digital needs of small businesses in the UK, France, Spain and South America. With clients in the FMCG, fashion and Professional Service industries, MCG manages their online presence and digital marketing activities to help them reach their business objectives. Main responsibilities: -Become the key point of contact for the client in all their digital activities. -Responsible for managing the multi-channel marketing campaigns. -Development of strategy and online marketing communication plans for companies in the education, event management, fashion and fundraising sector: ROI ranging between 52.3% up to 161% depending on industry sector and length of campaigns. -Extensive experience developing marketing communication campaigns and advising other departments on SEO, SEM and SMM. -Conversion rate optimisation experience via A/B and MVT testing. -SEO keyword optimisation, PPC keyword optimisation. -Developing and presenting bids for new clients. -Management of budgets. -Management experience leading a multi-disciplinary team (account executives for UK and Spain, community managers for Spain and France, and graphic designer) to ensure the adequate implementation of marketing plans. -Encourage involvement of the team during the full projects delivery cycle. Kellogg Company is one of the Top 100 most valuable brands according to Forbes Magazine. The company has a well-established portfolio of brands for kids and adults, and is present in more than 160 countries. -Development of brand strategy and planning: brand growth of 27% vs. year ago in net sales. -Plan and execute brand’s marketing plan. -Responsible for launching 3 in&outs and 1 line extension into the Mexican market. -Overseeing the implementation of both qualitative and quantitative research for concept testing, post-test and modelling impact of marketing activities on sales. -Development of TV communication and printed communication. -Management of Advertising and Promotion budgets. The focus of my research is the development of a model of social influence on customer engagement behaviours in social media websites. Through a series of experiments, I have identified different forms of brand immediacy that affect these behaviours, and that can help businesses improve the results that they achieve when in social media. -The programme focuses on giving an understanding of issues implementing strategy through projects. It also provides extensive training on project management tools and approaches to manage large projects. -Main subjects: Project management, risk management and risk assessment, strategy. Research area for dissertation: Knowledge Integration in Consulting Firms. -Market research project for the International Airport of Queretaro on regional travelling behaviours that support a business expansion for low-fare airlines in the airport of Queretaro. -Market research to regional chocolate manufacturer to identify the most appropriate distribution channels.